1. Make plenty of hardboiled eggs ahead. 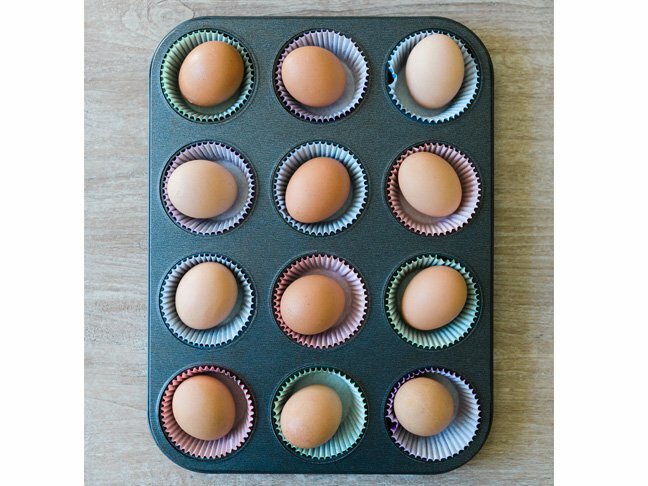 Cooking them in a muffin tin—yes, a muffin tin!—is one of my favorite tricks. Preheat the oven to 350 degrees F, place a whole egg in each cup of a standard-size muffin tin and bake for about 28 minutes. Then, remove the eggs from the tin and put them in an ice bath (a fancy way to say ice water) for 10 minutes. You’ll have a week’s worth of ready-to-go protein at a moment’s notice. 2. Have GoGo squeeZ YogurtZ pouches on hand (always). My boys are obsessed with GoGo squeeZ YogurtZ paired with fresh fruit. 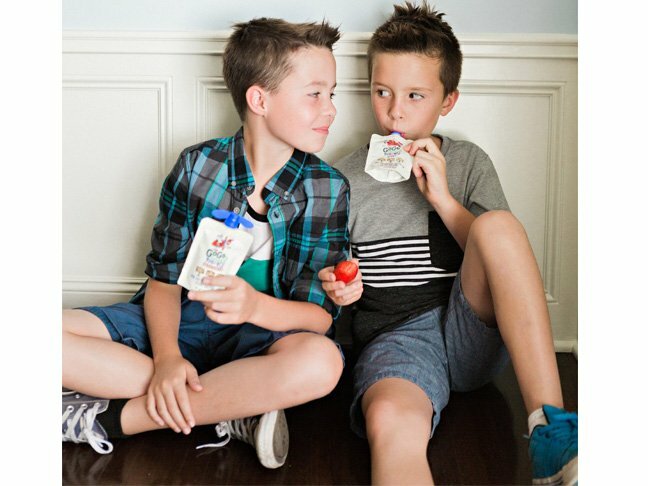 My eldest child, Sawyer, loves Berry YogurtZ while his younger brother, Jackson, is all about the Strawberry YogurtZ (they are also available in Blueberry and Banana flavors). These delicious pouches, which are made with real yogurt and fruit , are perfect for mornings when a nutritious grab-and-go breakfast is necessary. Bonus: They’re a good source of calcium and vitamin D, and each pouch has four grams of protein. They’re heat treated, which means they don’t even need to be refrigerated!. You can store them in your pantry, at room temperature. How “cool” is that?! 3. 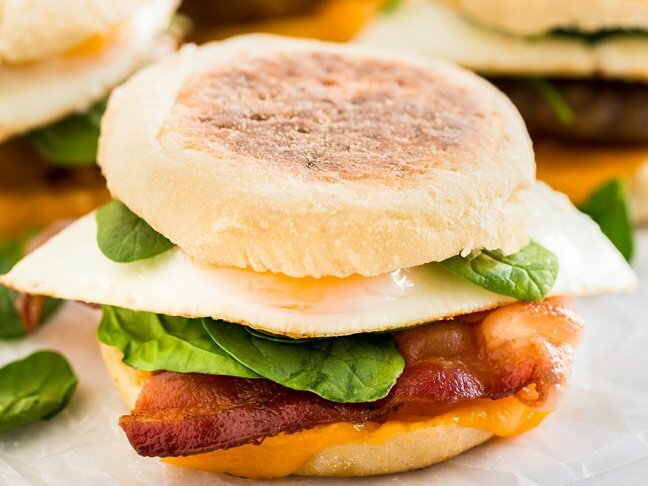 Stock your fridge with homemade breakfast sandwiches. I make ours with English muffins, scrambled eggs, and various combinations of cheese, bacon, spinach, and chicken sausage. Wrap the pre-made sandwiches in plastic, wax, or parchment paper and throw them in the freezer, so they’re ready to heat up in the microwave or toaster oven whenever you need a quick morning meal. (About 8 to 10 minutes in the toaster oven and 4 to 5 minutes in the microwave will do the trick!). 4. Whip up overnight oatmeal with peanut butter. Cold oatmeal for breakfast may not sound that appetizing. Trust me, though, this recipe is a yummy game changer! I like to get the boys involved in making it because when they are participating in the creation of the food, they are way more likely to eat it. All you need is one cup of rolled oats, one cup of almond milk (or whatever your favorite kind of milk is), and one teaspoon of peanut butter. Combine the ingredients in a Mason jar, shake well, and stick in the fridge overnight. In the morning, you’ll have a delicious breakfast that’s ready to enjoy. 5. Make toaster waffles with fruit faces. My youngest son, Ford, absolutely loves this breakfast. 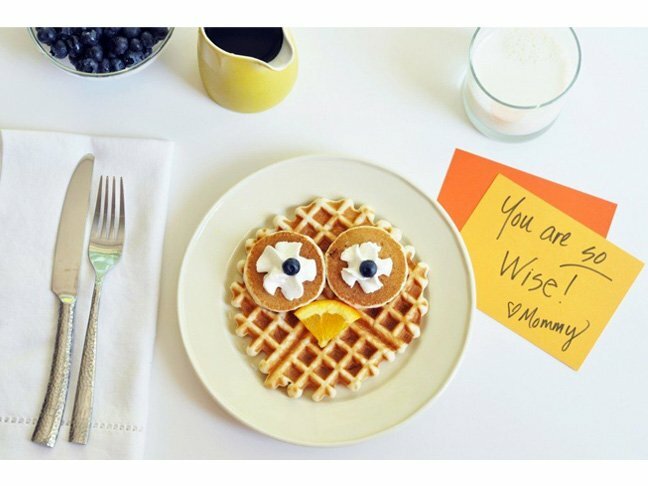 It’s super cute and therefore fun to eat, which is the goal when your kids are picky eaters (and mine are picky with a capital P!). Whip up some homemade waffles and little pancakes and freeze leftovers for the week. (Or, save time with the frozen version from your grocery store.) In the morning, make eyes with whipped cream and blueberries and a mouth with an orange slice. Easy and fun!